European Cobalt Limited (ASX:EUC), formerly Western Mining Network Limited, is engaged in the acquisition and exploration, and evaluation of resource-based projects within Indonesia. The Company operates through two segments: mineral exploration and treasury. 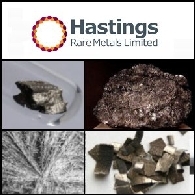 Hastings Rare Metals Ltd (ASX:HAS) is pleased to announce that the first assay results from the Pre-Feasibility study drilling programme at its Yangibana Project in the Gascoyne Region of Western Australia is continuing to intersect neodymium-rich mineralisation. 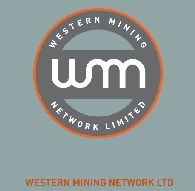 The Board of Western Mining Network Ltd (ASX:WMN) is pleased to announce that assay results have now been received from the second phase of exploration for the semi detailed geological mapping, float rock chips samples, outcrops via rock chip sampling and trenching within the Persada Tenement. The Board of Western Mining Network Limited (ASX:WMN) is pleased to announce that the due diligence work on PT. Persada Bumi Rawas ("PT. PBR") and its 100% interest in IUP Exploration No. 540/307.19/Distamben dated 12 August 2009 ("Persada Tenement") has been completed. The Board of Western Mining Limited (ASX:WMN) is pleased to announce that it has entered into a Memorandum of Understanding ("MOU") whereby WMN has the exclusive right to explore and if warranted mine, potentially high calorific value thermal coal tenements in South Kalimantan which are 100% owned by PT. Pancareka Utama Engineering ("PUE"). 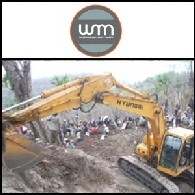 Western Mining Limited (ASX:WMN) announce the March 2013 Quarterly Activities Report including the Genesis Manganese project and the Penajam Paser Utara project. 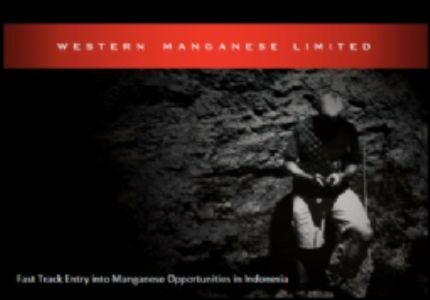 Western Mining Network Limited (ASX:WMN) successfully completed its listing on the ASX on 4 March 2011 as an Australian based, Indonesian focused exploration company with the rights to two promising manganese exploration tenements in West Timor. The Board of Western Mining Network Limited (ASX:WMN) is pleased to announce that the Company has exercised its option to purchase 51% of the total number of issued shares held in PT Genesis Berkat Utama ("Genesis"). As part of a move consistent with taking Western Mining Limited (ASX:WMN) to the next level, the Company is pleased to announce that Paulus Irawan has moved from Non-Executive Director to Executive Director of the Company effective immediately. 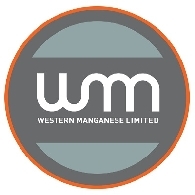 The board of Western Manganese Limited (ASX:WMN) is pleased to announce a significant development in acquiring interests in non-manganese projects. During the previous two quarters, WMN has been actively looking at project acquisition opportunities in coal.